The CBM-920II was designed for installation as a receipt printer in industrial plants. For outstanding efficiency and the special paper loading mechanism and the paper end sensor captures. The sturdy construction ensures maximum reliability in a MCBF of at least 1 million rows. 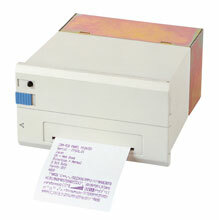 The possibility of printing graphics and memory integrated enhance the flexibility and functionality. The Citizen 920II-40PF is also known as Citizen America	CIT-CBM92040PF	or 920II40PF	.